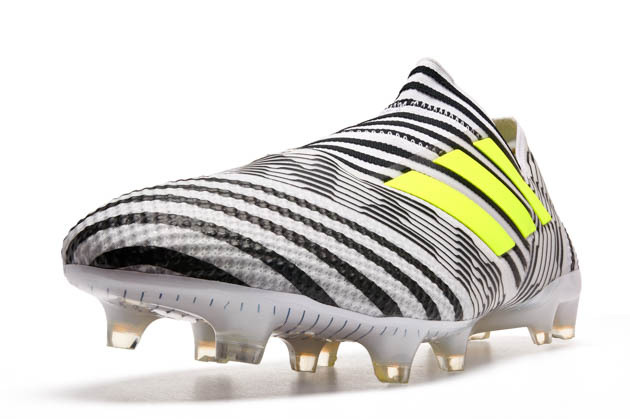 Adidas are killing it this year with all of their incredible colorway releases for their revolutionary new silos in the X, ACE, and Messi boots. Let’s take a look at the chromed out Eskolaite ACE 15.1. The ACE is one of the most popular boots on the market right now with the amount comfort and new tech you get all in one package. The new Eskolaite Pack is part of the adidas Limited Collection, meaning if you want a pair, you better act fast. Chrome takes up the entire upper including the adidas stripes so it all runs together giving it that extreme chrome feel. Even the laces are silver on this boot! A very vibrant green is found on the heel liner as well as the heel counter and the soleplate. 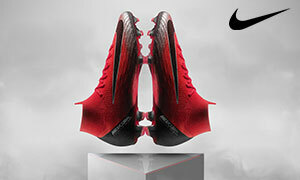 If you’re a player that loves standing out on the field with shiny boots, then these are for you. 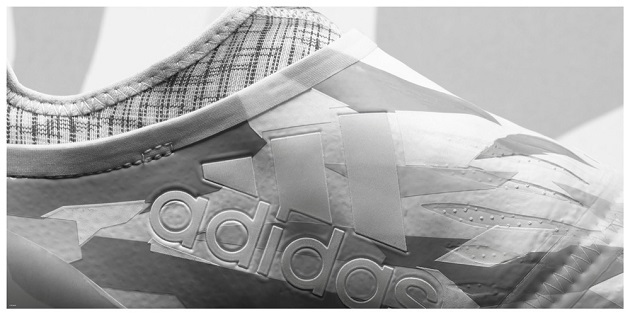 The upper is a honeycomb pattern called the Control Web that is designed to help give you the best first touch possible. NSG (non-stop grip) are the small bubbles you find on the upper that helps you get the best grip possible even in wet conditions. 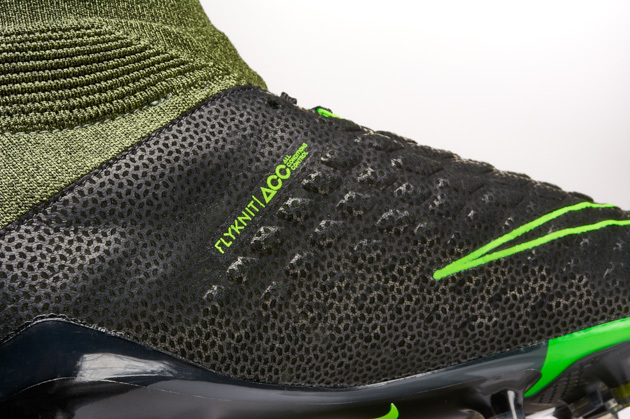 There is an external heel counter, also named the Control Fit, helps keep your foot locked in the heel while also giving you a little bit of extra protection from tough tackles. Many people compare the ACE and Opus and one of the main differences is the lacing system being pushed to the outside of your foot to offer a larger surface area for striking the ball. The insane new stud pattern that has everyone talking is the new FG/AG stud configuration that mixes 10 larger studs and many tiny studs that are designed to give you the maximum amount of traction possible. This soleplate is more suited for use on both artificial grass and firm ground with many conical studs, which are better for both surfaces. If that wasn’t enough to have you convinced that these cleats are awesome, adidas have given this release a silver drawer-style box and a matching string bag. 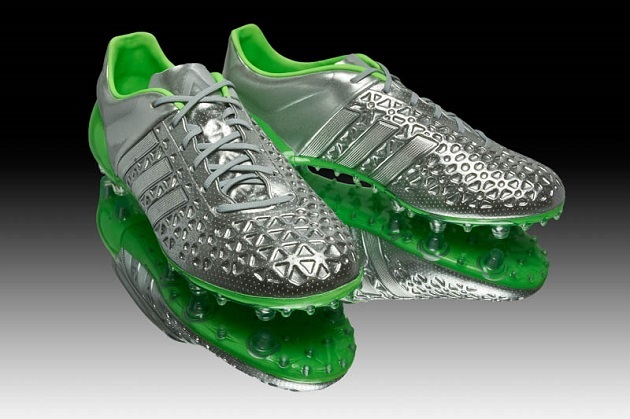 Adidas have gone all out on the Eskolaite Pack. What do you think of the Eskolaite Pack ACE? Get yours at SoccerPro.